This programme is designed to prepare you for a future in the classical music industry, a complex and exciting field with many interesting employment opportunities. You will examine current issues and challenges facing the industry and explore questions such as: From Spotify playlists to Super Audio CD, how is classical music consumed in the 21st century? Are stars like Lang Lang or Sheku Kanneh-Mason creating new and more diverse audiences for classical music? Is the concert hall the best place for classical music performances? From crossover to the ‘classics’ and from film music to contemporary classical works, what is understood by ‘classical music’? The MA Classical Music Business is ideal for any graduates with a specific interest in classical music, or for those with a classical music performance, musicology or composition degree. It is also highly suitable for anybody already in employment, who wants to further progress their career in the classical music industry. 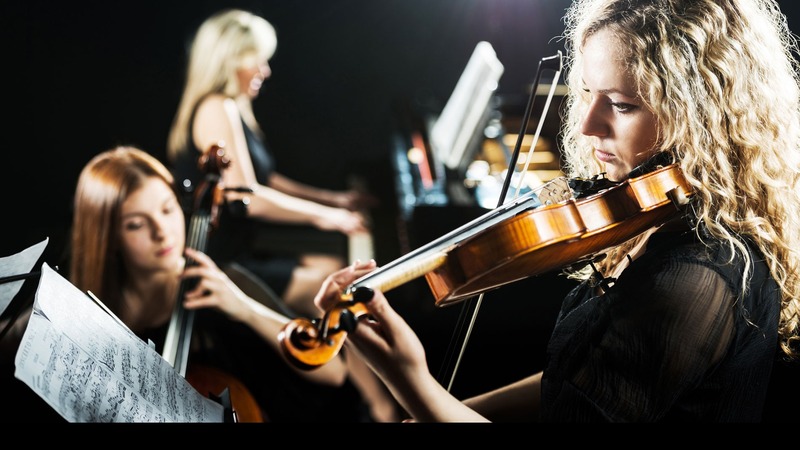 Why study MA Classical Music Business at Middlesex University? The MA Classical Music Business at Middlesex is unique. In addition to its distinct content and specialised teaching, this programme gives you the opportunity take up placements with classical music organisations such as music publishing house Peters Edition, the National Opera Studio, the record label and promoter NonClassical, period instrument orchestra Orchestra of the Age of Enlightenment, and the English Chamber Orchestra. Work placements can also be carried out elsewhere in the UK, Europe, and other parts of the world. As Middlesex University is based in London, the centre of classical music activity in the UK, we are perfectly placed to attract high calibre speakers as well as introduce you to a wide range of concerts and cultural activities at internationally renowned classical music institutions such as the Wigmore Hall, Southbank Centre and the Barbican. You will examine contemporary issues and practices within the classical music industry and obtain a high level of understanding of how organisations are funded through commercial, public, and philanthropic income. Your work placement will also allow you to explore the practices and required skills of your chosen area within the classical music industry. The course features work placements with and insight from industry leaders including the Association of British Orchestras (ABO), Peters Edition, the National Opera Studio, the Orchestra of the Age of Enlightenment, NonClassical, the London Chamber Music Society, the English Chamber Orchestra, Sound and Music, Kings Place, NMC Recordings, the English Symphony Orchestra, the Octagon Music Society and Presteigne Festival of Music and the Arts. The Classical Music Industry (Routledge, 2018), the first extensive book on the subject and a core text of the MA Classical Music Business, was edited by key staff of the programme. What will you study on MA Classical Music Business? You will study six modules over the duration of this course; three of which are core modules and will give you a broad overview and knowledge of the key principles and theories. The three remaining modules are optional and allow you the opportunity to run your own classical music events or to explore music entrepreneurship. This module will enable you to critically examine contemporary issues and practices within the classical music industry. You will also evaluate a range of contractual agreements used in the sector. This module explores the changing ways arts organisations raise income to support activity. You will focus on commercial, public and philanthropic income and understand the ways to communicate and build relationships with different funders, investors and customers. This is a double credit module that allows high level enquiry into your chosen area of classical music business through a placement with an industry organisation. The placement will typically consist of 16 hours a week, over a four month period and can take place between January and September. This module will allow you to critically examine organisational and leadership structures. You will also evaluate challenges in the global political, economic and social context for the classical music sector. This module is designed to introduce the practice and theory of arts event management to those with no or little prior experience. You will be taught through experience and will be expected to run two or more live events during the year through team work. This module may be most suitable for full-time students. This module is concerned with both entrepreneurship and the creative economy. You will think critically about the challenges and opportunities facing new ventures in the sector, both in terms of specific business models and the broader socio-economic context. Attention will be paid to issues of diversity and equality, as well as to the legal and political context in which the ‘creative industries’ operate and, indeed, are defined, both in the UK and internationally. You will examine the ways in which funding, networks and markets are linked to entrepreneurial activities, studying the social entrepreneur and ‘lifestyle entrepreneur’ alongside those ventures with the potential for high growth. The ABO is delighted to welcome Middlesex University’s MA in Classical Music Business. We recognise that the next generation of leaders in our sector are going to need to wrestle with the challenge of the classical music business model, and to generate new sources of income to ensure its survival. Business skills will be key to ensuring that classical music not just survives but thrives in an increasingly competitive market for entertainment choices. How is the MA Classical Music Business taught? Lectures, seminars and workshops form the basis of this course and you will explore topics and modules using a range of case study materials such as videos, films and other artistic works. You will work alongside your peers, sharing ideas, analysing research and developing key theories and skills. As well as your regular lectures in modules, you will have the opportunity to attend lectures with guest speakers from the classical music industry. You will gain first-hand experience of the industry by attending and participate in field trips to classical music organisations in London and beyond. The work placement will also give you the chance to experience working in a specific role within a company. You will be supported by the module leader and will have individual aims and outcomes to achieve that reflect your career ambitions. You will be assessed through a variety of means such as presentations, essays and coursework. The majority of your modules are assessed by reports written in a professional business format which will allow you to develop your skills in researching large volumes of data and analysing and communicating it succinctly to professional classical music business audiences. Reflection is key part of the learning of this course and is vital as it encourages you to examine your work constructively, consider how your work will prepare you for the future, identify important individual learning outcomes, and understand and articulate theoretical and/or critical ideas you have encountered. Candidates with other degrees are welcome to apply provided they can demonstrate appropriate levels of experience. Due to restrictions placed on students with a Tier 4 visa undertaking part-time study by the UKVI, courses requiring a placement cannot be studied by International students. How can the MA Classical Music Business support your career? The MA Classical Music Business, with its integral work placement, will constitute a bridge between higher education and industry. The work placements will provide you with highly valuable industry experience and will likely to lead to employment, either with the placement organisation or elsewhere. Julia Haferkorn joined Middlesex University in 2014, after having worked in the music industry for 20 years. Initially at classical music publisher Peters Edition, she promoted the music of John Cage, Mauricio Kagel and Brian Ferneyhough. She founded the artist agency Haferkorn Associates Ltd (1998) and, with Ed McKeon, the production company Third Ear Music Ltd (2010). She has worked with a range of artists, including the Arditti Quartet, Apartment House, Ian Pace, Matthew Herbert, and Icebreaker, and has set up concerts and tours all over Britain and world-wide. Other posts include Co-Artistic Director of the British Composer Awards (2014-16) and Artistic Director of the Chinese New Year celebrations on Trafalgar Square (since 2015). She has given talks, tutorials and/or lectures for Sound and Music, at the Cheltenham International Music Festival’s Composer Academy, the Finnish Institute, the University of Kent, Bath Spa University, and the Royal Academy of Music. Peter Fribbins is a composer, artistic director and academic in music. His compositions, mostly concert works for a range of ensembles and orchestras, are performed, broadcast and recorded internationally. They include two string quartets (recorded by the Allegri and Chilingirian Quartets), two piano trios, various sonatas (including the Cello Sonata recorded by Raphael Wallfisch & John York), the Piano Concerto (recorded by the Royal Philharmonic Orchestra), and the Violin Concerto (recorded by Philippe Graffin and the Royal Scottish National Orchestra). He studied with the German composer Hans Werner Henze in London and Italy, and at the Royal Academy, Royal Holloway and Nottingham universities. Dr Fribbins is also the Artistic Director of the London Chamber Music Society, a weekly series of concerts that can trace its history back to the South Place Sunday Concerts in the 1880s – a continuous line of London concerts, broken only by the Blitz in the early 1940s. This celebrated series of concerts has been resident at Kings Place in London since 2008, during which time Dr Fribbins has curated more than 250 concerts with a range of famous artists, ensembles, choirs and chamber orchestras, featuring numerous premieres of new works, as well as debuts of artists at the start of illustrious careers. Before coming to Middlesex University, Dr Inglis taught at Trinity College of Music, and also worked in the music publishing and authors' copyright sectors. His music has been heard at the Sonorities Festival (Belfast), Huddersfield Festival, Spitalfields Festival, Guildford International Festival as well as also London's South Bank Centre, Kings Place and St John's Smith Square. His interests encompass composition, musicology and criticism, and his writing projects include articles and criticism for Tempo and M magazine as well as notes, profiles and marketing copy for the BBC (Proms and BBC Concert Orchestra). Dr Beaven joined Middlesex University Music Department in 2014, bringing more than two decades of experience in the creative industries. Previously, she was a senior lecturer in Arts Management at the Arts University Bournemouth, teaching on the MA in Cultural Management at the University of Winchester and was a researcher in the Cultural Management Applied Research Group at the University of Greenwich. Her arts management experience ranges across a variety of art forms and both larger organisations such as the music venue Blackheath Halls and over many years as a freelancer working on events and projects with the Museum of London, Barbican, Common Ground and BBC Radio 4. Drawing on her research focus of work in the music business, Dr Beaven's PhD was a longitudinal study of musician start-ups. She also has an interest in the effects of technology on the industry and is carrying out a Research Council-funded case study of a Kickstarter-supported album recording and release. Dr Dromey joined Middlesex University in 2005, having previously taught at the Open University, the Royal Opera House, King's College London and Birkbeck College, University of London. His principal areas of expertise are music in the twentieth- and twenty-first centuries, music theory and analysis, and the classical music industry. He is the author of The Pierrot Ensembles (2013) and co-editor of The Classical Music Industry (2018), he teaches musicology and copyright. For several years Chris worked with PRS for Music. An active organist and pianist, he also organises Music’s Concerts and Colloquia, a Tuesday evening series open to the public featuring musicologists, figures from the music industry, performers, and composers.